This club is aimed at individuals who understand the potential of real estate as an investment but who need more information about what to do, or more importantly, what not to do. 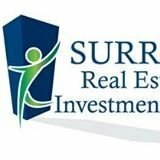 The club’s goal is to provide an atmosphere for networking and fun, as well as to provide education and guidance to people who are thinking of getting into real estate investing, particularly in local BC markets (yes, you can make money in real estate in the Lower Mainland!). They also discuss investments in the USA and out of province. Networking: 30 minutes before the keynote speaker and 30 minutes after the 1-hour presentation. This group allows for a brief introduction from every member (why they are there, what they’re looking for, etc.). At the end of the keynote, 15 minutes is allotted for any member that has a deal, is looking for a JV, etc.